Brand New and officially licensed Grateful Dead merchandise. These dancing bear furry flap hats are fun to wear. Going to a festival or a rave? Make sure you have one of these funky fun furry hats! 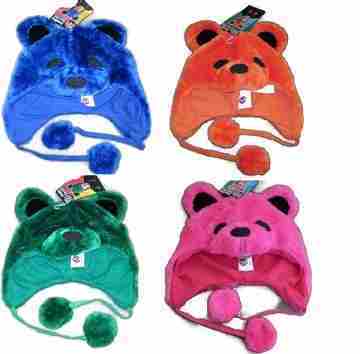 They come in 5 different colors, Blue, Green, Orange, Pink, or Purple. Buy 1 or all 5! One size fits most.